Cryptocurrencies have been taking the financial markets by storm. 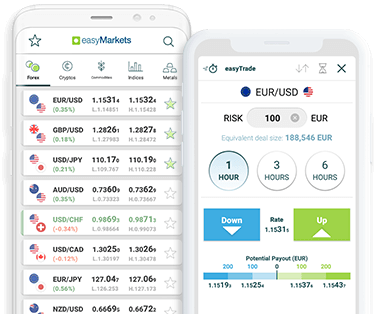 Trade Bitcoin (BTC) against USD at easyMarkets. easyMarkets is a well established company, giving you the security and peace of mind you need. All our spreads are fixed 100% of the time. Know your cost in any market condition. We don’t charge any commission nor should you worry about hidden commissions. Just enjoy trading! Our platform has never had slippage! Always execute trades at requested price or better. We cover all your funding fees and make sure the amount you deposit is the amount you trade with. Never lose more than you invest, no matter the circumstances or market conditions. Your stop loss is guaranteed 100% of the time. We always protect you against the unexpected and limit your risk.